It is hard to wear this dressy blouse that was probably intended as work wear casually. But I think these dark skinny zipper jeans and high heels do the trick. And now that it is really starting to look like fall with rich oranges and reds, I love the contrast of the bright blue. Those fall leaves make such a fabulous backdrop! And that's a gorgeous blouse! Thank you ladies. It was a $5 thrift store find so I am glad it is a crowd pleaser! I looooove the top photo! And now that I'm back in Ohio, I can't wait to go thrifting again! 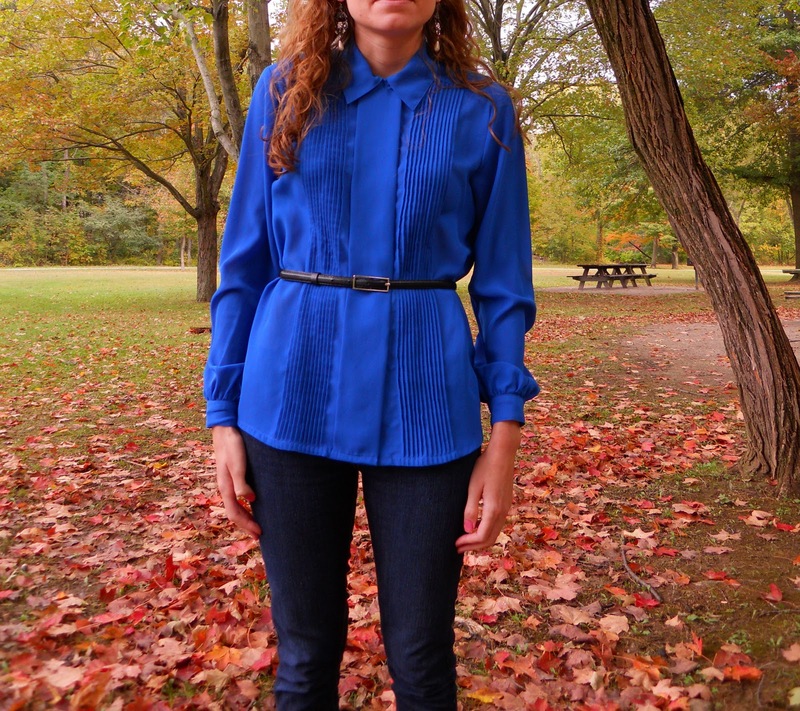 There just weren't any good ones in D.C.
That bright blue blouse looks absolutely incredible against the fall leaves. Beautiful.